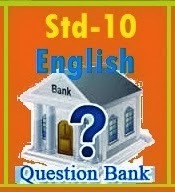 Here is a question bank for std 10 English (SL). 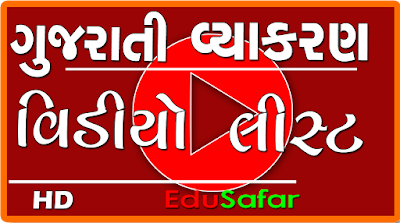 It has been created by shree Mehul Bhal belongs to Palitana High school, Palitana & shree Jarjis kazi from Shree L.J.Shah Girls'Highschool, Botad. The two friends have strived hard for the students for such a practice work in English. The noteworthy thing is that they made it free of cost to download for one and all.It has also been found useful n handy by the teachers and many students. I hope you too would take advantage of it. Best of luck. " 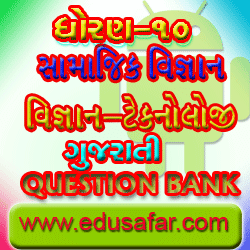 It is our first humble attempt to prepare a question bank for std.10. 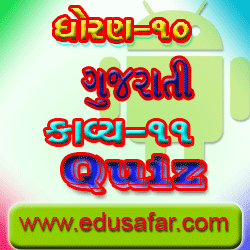 It covers the MCQ type questions for Part 1. However, Hurculous task we applied to make it mistakeless. Please bring it to our notice if you find any. 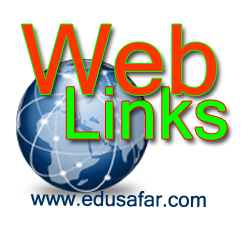 Your suggestions would be useful for making the material more beneficial to the students. Lastly the purpose of creating this material is not professional one. But an effort to render our experience and knowledge to the students of std. 10. The Question Banks are prepared by J.K.Patel and his team. 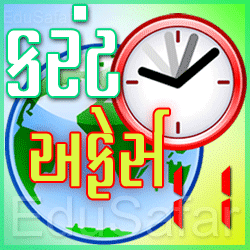 Jai Somnath High School. Many friends of the CCC Exam may be passed. To be taken in the form of shares of CCC Exam. Some friends have been waiting to give CCC Exam. Many friends of CCC Exam is currently preparing. Friends will be preparing for the CCC practical Exam, This PDF file would be useful. 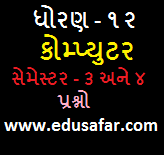 This CCC Practical Exam material PDF file you will practice can get success in the exam. 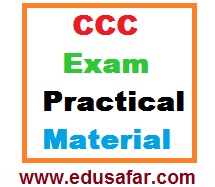 This CCC Practical Exam material PDF file to inspire you and your friends download. 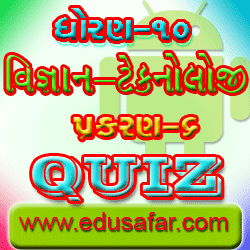 The PDF file is created Hasmukhbhai Panchal . Edusafar Team believes their thanks.